Can a gentile pray in a synagogue? I am an 18 year old male interested in converting to Judaism, I have been reading the Tanakh amongst other things and have been learning more about the religion. My question pertains as to whether or not it is acceptable for me to recite certain psalms and say some personal prayers of thanks and desires inside of a synagogue. The synagogue that I plan on visiting is more of a historic site (The one in Heritage Park San Diego) so I wont be disrupting any kind of a service. I just want to make sure that I am not doing something that could offend people or be theologically incorrect, I believe in G-d (In the Abrahamic sense) but am unavailable for conversion at this point in my life. Also should I wear a Kippah? "Also to the stranger who is not from the nation of Israel who comes (to visit the Temple) from a far-away land for the sake of your name. For they will hear of your name and your strong hand and outstretched arm and he will come and pray towards this house". Current synagogues are a house of prayer as a temporary "replacement" of the great Temple that once resided, that does not now exist. My suggestion, even if you do not convert at the end - if you come into a synagogue, wear a kippa, yarmulka, hat, etc. and join the rest of us in praying for the speedy rebuilding of the Temple, so that you can join the rest of us in the REAL "synagogue"! I know how you're feeling. I visited my first synagogue with my church confirmation class in high school, then visited a reform synagogue where I went to college, and then went on to conservative and eventually orthodox synagogues where I finally converted. (I had a conservative conversion earlier, but I don't count that.) And although the synagogue your visiting is more like a "museum" than an actual synagogue, if your desire to convert is sincere, then your next step will be to an active "shul" (Yiddish for synagogue). So my answer will mostly address what happens after your visit to the "museum synagogue," but also has application to your current issue. The first visit to a synagogue, the first call to a rabbi, and even the second or third call to a rabbi, can be very stressful for someone wanting to convert. There is no question that you can go to the synagogue -- just dress appropriately and wear a yarmulke (assuming you're male) -- most synagogues (but not all) have them available near the door for visitors. A female non-Jewish visitor need not cover her hair, but -- especially in Orthodox synagogues -- should minimize skin exposure by wearing longer sleeves, knee-length or longer skirts/dresses, and a modestly-cut collar. It would be best if you can find a Jewish member to go with you to help guide you. If you don't know anyone, don't be shy ... ask someone who looks like they know what they're doing. 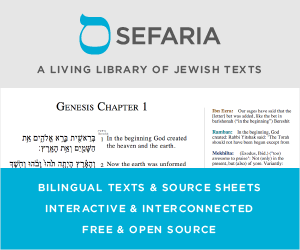 Orthodox services are in Hebrew almost exclusively, conservative congregations use less and announce pages, but still it may be hard to find your page. If offered an honor, such as taking out the Torah, or getting an aliyah (an honor at the Torah reading), gently turn down the offer by explaining you're not Jewish and not entitled to the honor until you complete conversion. Also, don't put on a prayer shawl -- while there's no real law against it, a non-Jew doesn't have the commandment to wear one, so its a bit tacky IMHO. Some rabbis endorse wearing a tallis for their married conversion candidates before the formal conversion ceremony. Consult your local rabbi to be sure. As to your prayers -- by all means, say any prayer from your heart that is directly to God, but I would encourage you to follow along in the prayer book to get an idea of how Jews pray. Much of our prayer book contains entire chapters or verses of many psalms. Introduce yourself to the rabbi. Tell him that for now you're trying to decide if conversion is for you. You don't need to start learning with him (or his designee) until you're ready. But ask him if there are general adult education classes you can attend. As for books, I hope you've started collecting some. To Be a Jew by Donin, and Becoming a Jew by Maurice Lamm are helpful. Rabbi Lamm's book has a chapter with a personal story about a first visit to a synagogue by a prospective convert. An excerpt of my personal story is in that book, also, at page 38. Good luck. I have met people who have converted and who would go to shul while they were studying for conversion. However, they were careful to do so under the supervision of the rabbi who was teaching them and advising them on each step of the way. For example, how to "violate" the shabbat in some way, what to say, etc. Many nonJews put on a yarmulkeh when going to a shul as a sign of respect and not to look different. This is done even if they are not contemplating conversion. yes you are of course aloud to pray in a synagogue, even an active one as long as if they ask you to be part of leading the communal prayers you turn down the offer. As far as to whether you should wear a yarmulke inside a historic building... that would depend on the rules given by the building owner or tour guide. if they don't ask you to wear one and since you aren't Jewish you aren't required to wear one. On other other hand, if you feel inclined to wear a yarmulke or hat of some type while praying there is no reason that would prevent you from doing so. Not the answer you're looking for? Browse other questions tagged gentiles synagogue kippa-yarmulka . Should one ask a non-Jew attending synagogue to wear a yarmulke? I am not Jewish but would like to visit a MO synagogue to pray occasionally on Shabbat. What is the best course? Can a gentile go to Synagogue on Shabbat and what is forbidden on Shabbat for a gentile? What do I do if I do not have nice clothes to wear when visiting an Orthodox synagogue? Is it acceptable for a Gentile to attend a service at a Synagogue without intent of conversion? Is there an aversion to having Gentiles in the synagoge and why? Are Bnei Noach welcome as participants in Orthodox Synagogues? Yishayahu 56:7 – what is ביתי? First trip to the synagogue! Tips and advice please! Can a gentile make a tallit?